Loving After Lifetimes of All This is an exhibition exploring the intersections of craft, (self-) care, apprenticeship, and survival within the practices of historically disadvantaged populations. Including artwork and ephemera from over 15 artists, activists, and archives nationwide, this exhibition considers ‘craft’ in an expanded sense to include such practices as homeopathy, scrapbooking, gardening, and other do-it-yourself (DIY) strategies for self-reliance. With a focus on intergenerational skill-sharing, this exhibition positions craft-practice alongside the histories of community service, citizen journalism, and volunteerism, as another potential strategy for cultural resistance. In addition to traditional techniques such as weaving, quilting, ceramics, and woodworking, artists in this exhibition incorporate video, photography, archival material, and performance into their multi-disciplinary projects that often hybridize the historical with the contemporary. 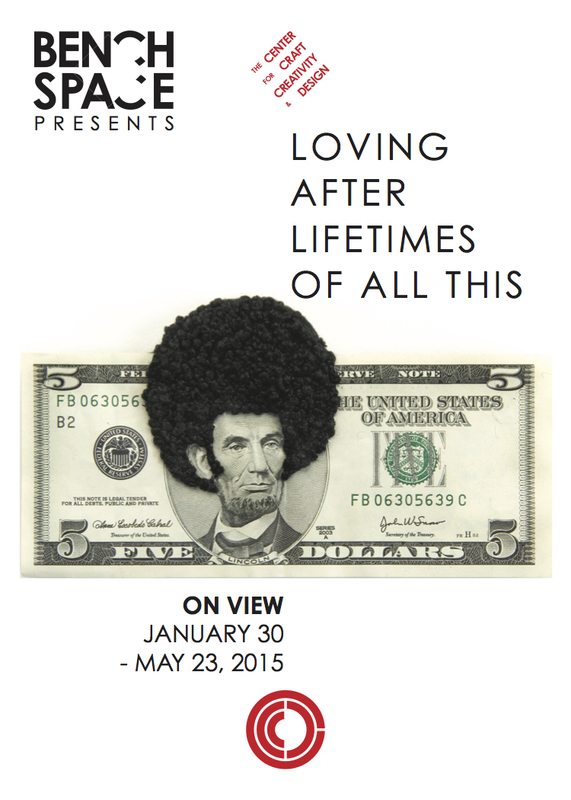 Loving After Lifetimes of All This also features materials from the Black Archives of Mid-America in Kansas City and the Gay & Lesbian Archives of Mid-America at University of Missouri – Kansas City. Featured Artists: Gina Adams, Tanya Aguiñiga, Natalie M. Ball, Jonathan D. Barnett, NedRa Bonds, Sonya Clark, Matthew Dehaemers, Josh Faught, Christopher Leitch, Judith G. Levy, Ramekon O’Arwisters, Tina Takemoto, and Temporary Services. Programs: The Craft, Care & Justice Hub (co-organized with NedRa Bonds). View images of the Kansas City & Asheville exhibitions. Learn More about this exhibition by visiting the Press page.